Over the past few weeks I have not written much. Just not inspired, and also enjoying some research. 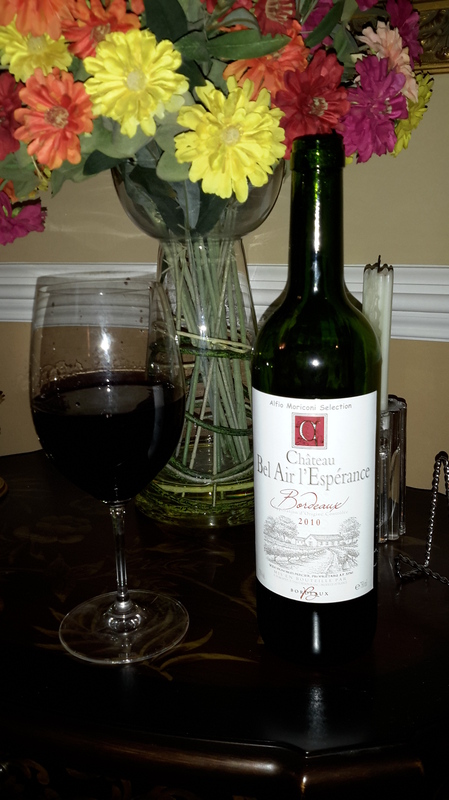 I have been enjoying some Bordeaux under 10 dollars. Yes, Bordeaux under 10. Some call these wines Bordeaux superior. Whatever you call them, these four are good. These are Merlot based easy drinking wines made for the table. They also are great gifts, give these wines to friends who are not winos. I mean when you give someone a Bordeaux they all think what an expensive bottle of wine. 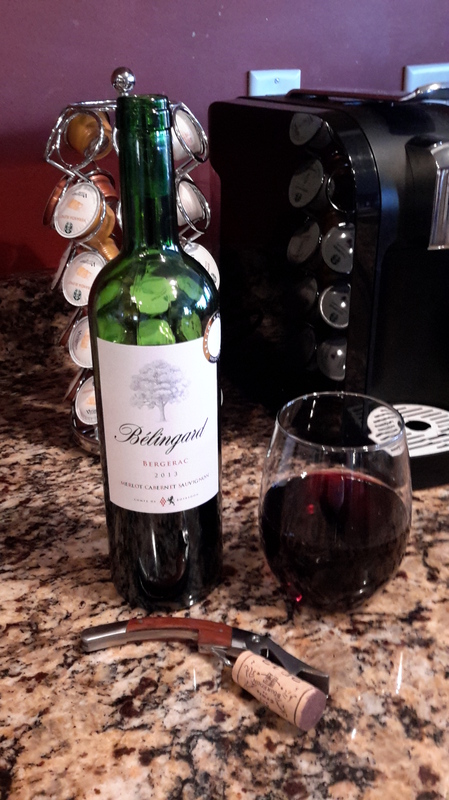 A Merlot based wine blended with Cabernet Sauvignon, and Cab. Franc. Smooth and tasty, light tannins that ad a little structure. A very soft nose with floral hints and spice. The wine is a crowd pleaser as I like to say. Made to enjoy with an evening meal. Perhaps not an award winner at wine expos, but a winner in my book. I have enjoyed this wine for years. And, I hope to continue. 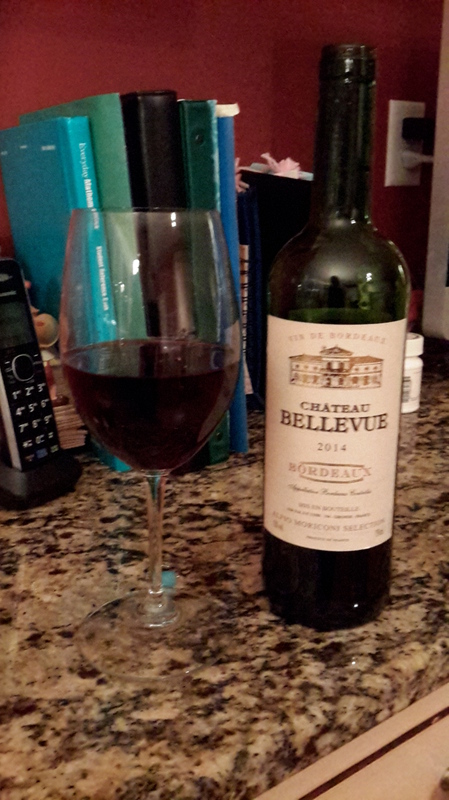 Chateau Bellevue, an enjoyable evening bottle. I spent a wonderful evening with Comte de Bosredon last year, listening to stories of his grand mother and family. This wine is one of my favorites. I have enjoyed this wine for many years. Fruity and medium bodied. The nose exudes fruit with hints of violets and spice. A Merlot based wine that erupts in a pleasure for the senses. This is one I keep on hand to impress guests. 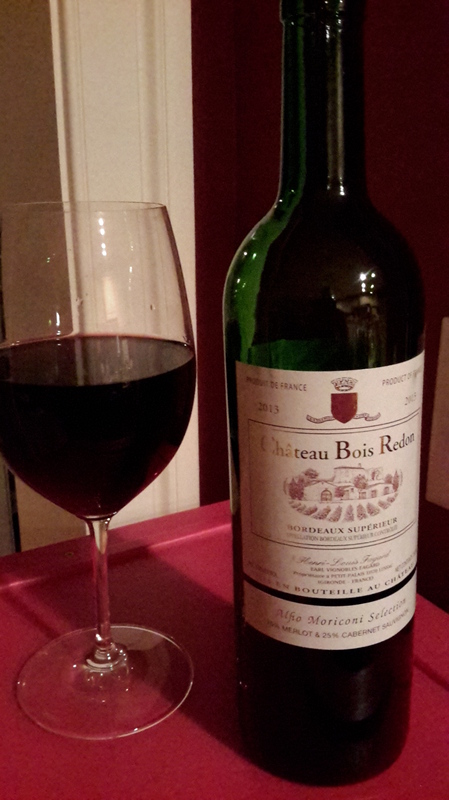 You know pulling out a Bordeaux for dinner really suggests something. They do not need to know it only cost 10 dollars. A nice fruity wine. Light bodied. This wine is in the Bergerac vineyards, and is exceptional. Another under 10 bottle, Merlot based with some structure and depth. Light tannins give it that extra bit. Another wine from the bosredon family that give it that edge in quality from other wines of the same category. Of the four from the evening this one seems to be the hardest to find and perhaps the most popular. Smooth and elegant, rich and full bodied. Fruit forward lots of structure, tannins that follow though. A very long finish. A real French table wine that will go with any good meal. I tend to think of this wine to pair with hearty meals, country cooking seems stick in my mind. Merlot based again, this blend is indeed excellent. So tonight I offered 4 wines, all Bordeaux and all under 10. All quality wines that you would not be apprehensive in serving. I say go for it and try these wines, come on 40 dollars is not going to break the bank.